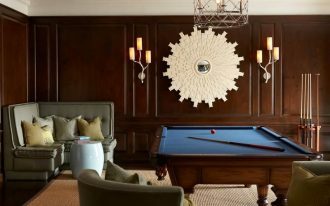 A shelving system is usually used when we don’t want to add another cabinet that will make the room looks cramped and want to make a nice storage idea. 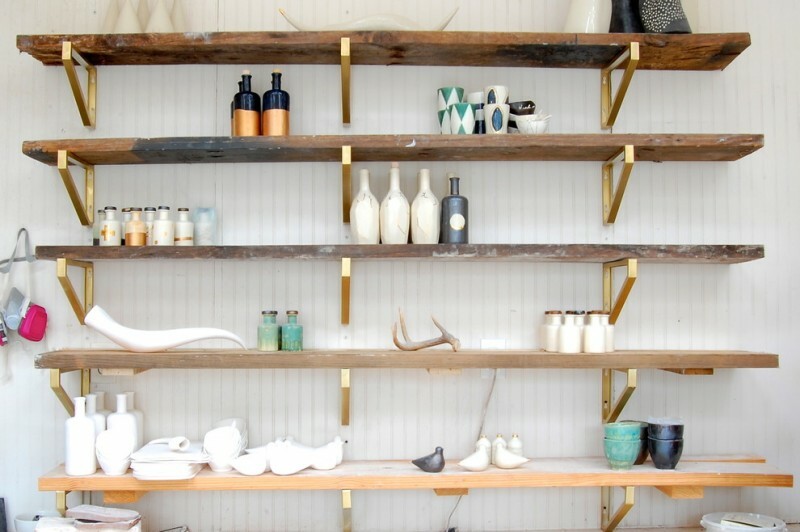 Besides being used to keep the things, a shelf can be a nice display for your collection. 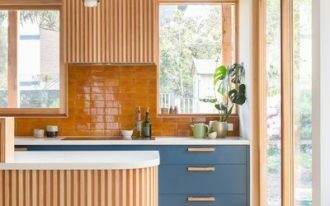 It can be a stylish storage idea when you use it for your kitchen. It can display your glass collection, a tea set, and others. A bracket can support the shelf that will make it strong, while the wood material is popular because it is easy to design and make. 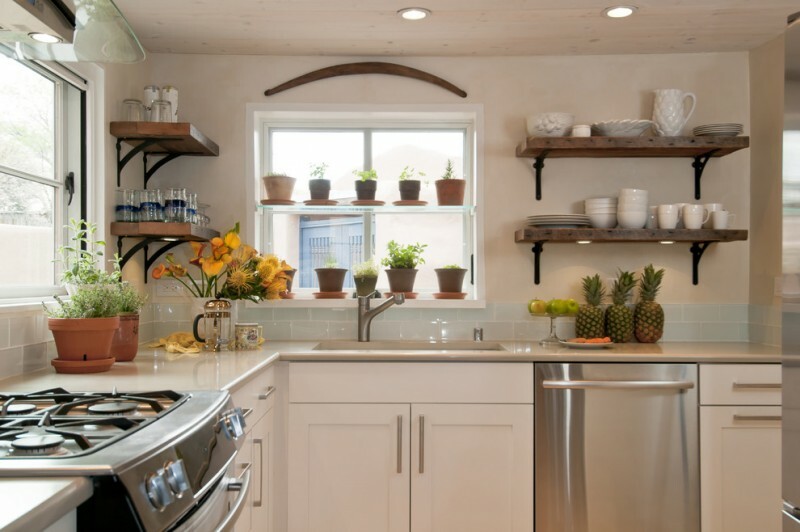 Here are some affordable DIY wooden shelf bracket ideas that you can install in your kitchen. 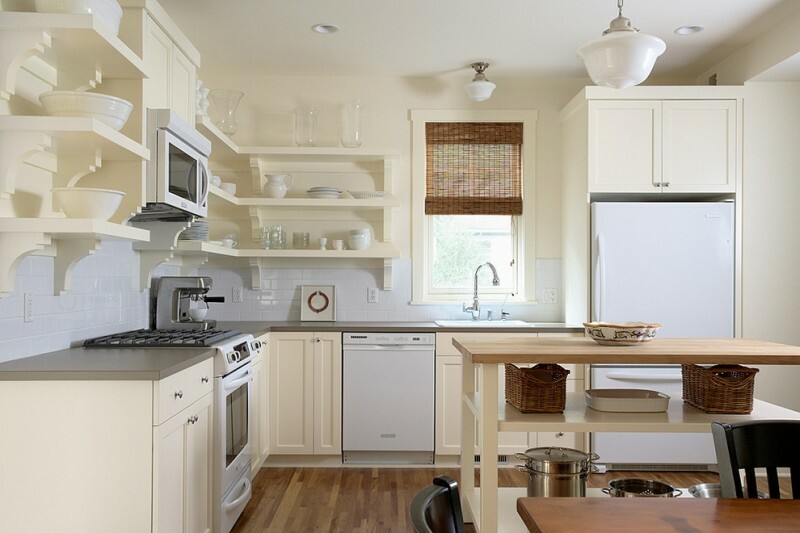 When a kitchen lacks upper cabinets, you can add storage with simple wooden shelves. 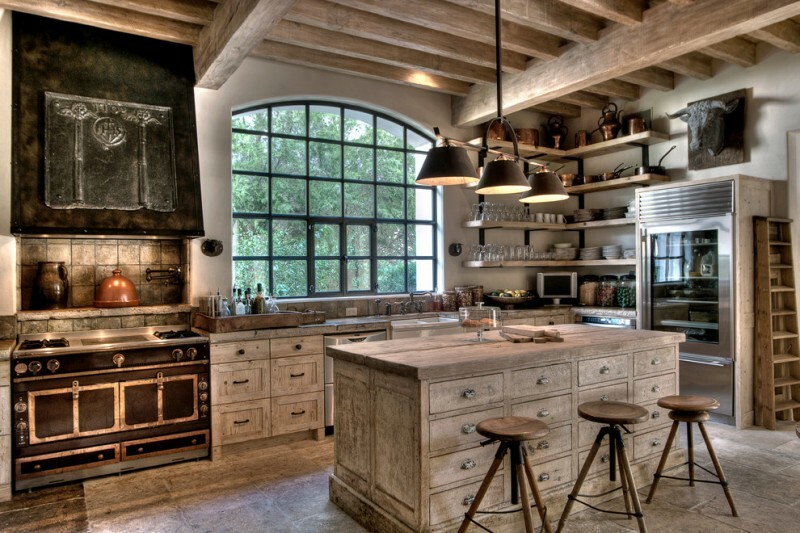 This kitchen has the reclaimed barn wood shelving with the black metal bracket that looks great in this space. The wooden shelves and brackets can be easily installed and provide functional display for the dishes. 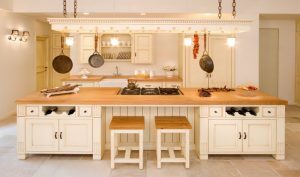 White painted wooden shelves and brackets are provided in this galley kitchen instead of bulking it up with some upper cabinets. 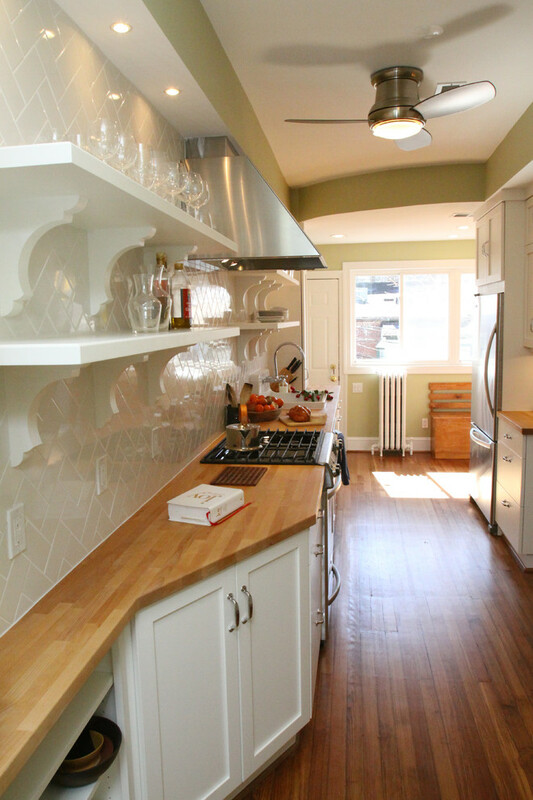 The shelving system will make the galley kitchen look more spacious. Artistic brackets for the open shelving in this kitchen are classic and decorative. This DIY wooden shelf bracket does not only support the shelf but also as an aesthetic feature. The openness in this kitchen makes it feel larger. Gold sprayed brackets will make the wooden open shelves look stylish and elegant. 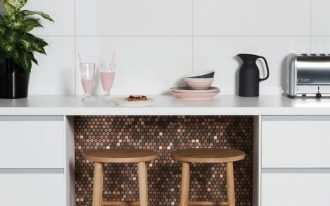 It is a simple DIY project that gave the kitchen a chic update. This black and white kitchen look minimalist and trendy. 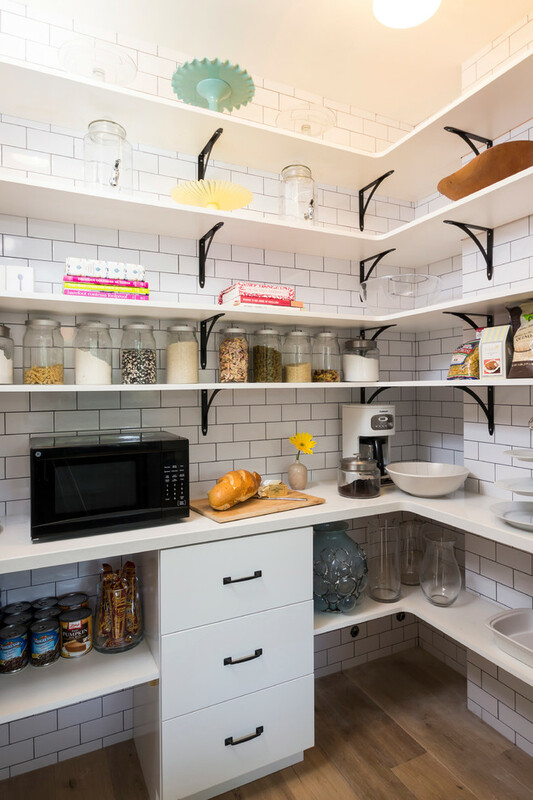 It features white subway wall tiles, white countertop white open shelving, white drawers, black drawer hardware, and black DIY wooden shelf bracket. 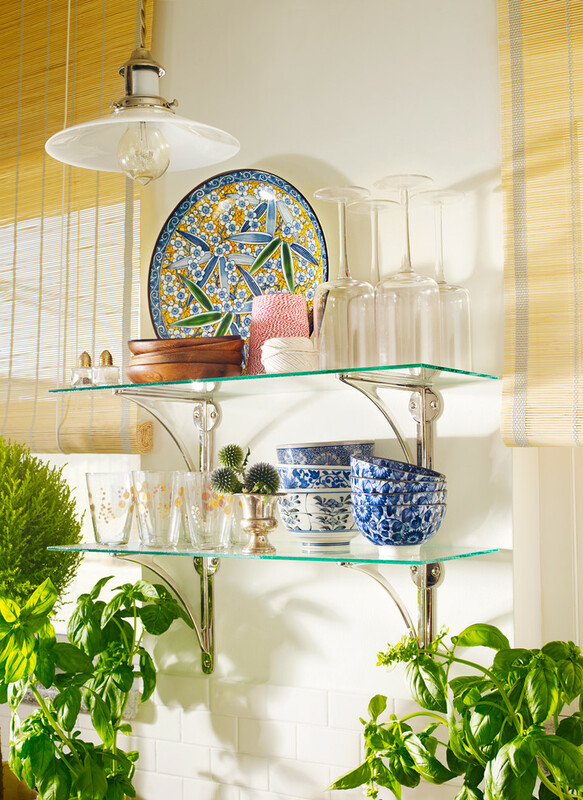 The DIY wooden shelf bracket and shelf will give you convenience in storing and arranging the dishware. 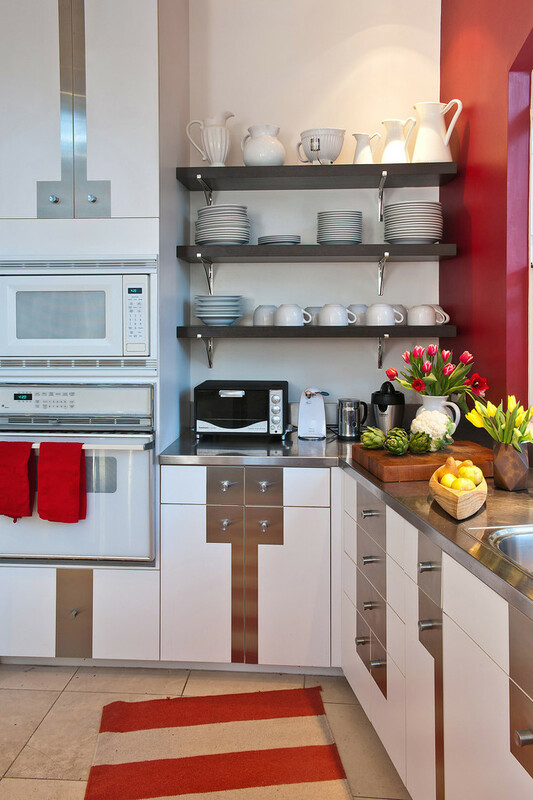 This kitchen show an interesting swap of black shelving and stainless brackets in a narrow space. Fill the wall with black and white. 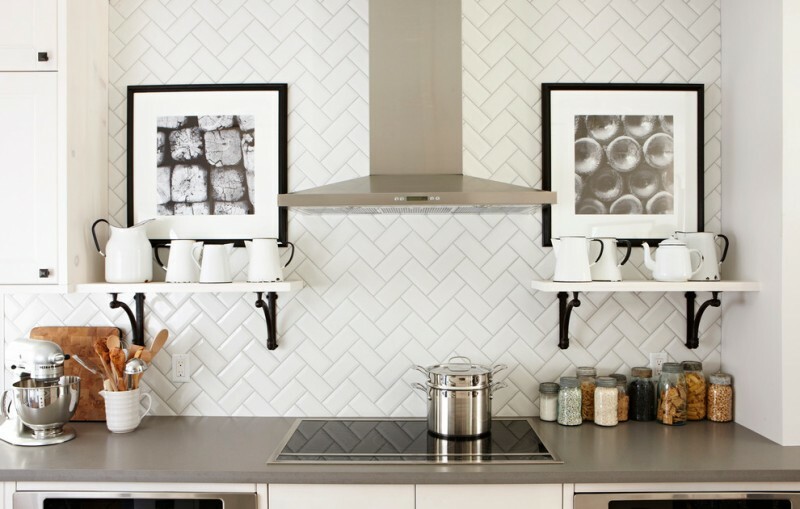 The white backsplash tile in this kitchen is decorated with black and white artworks and wooden white DIY shelves with black brackets. 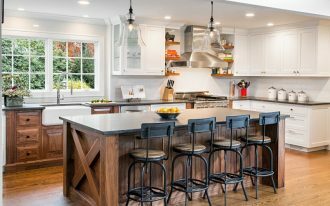 The neutral color palette in this kitchen makes this kitchen modern and trendy. 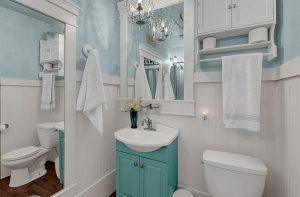 Installing some shelves instead of the upper cabinets is a great way to save your money. This shelving system uses shelf brackets that extend from the top to bottom. 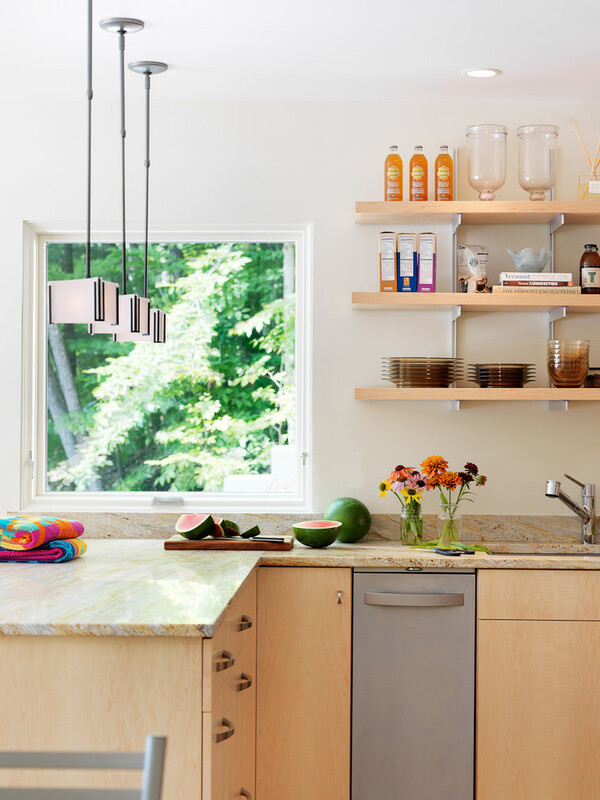 Besides wooden material, you can also make custom shelves and brackets using glass and stainless steel. 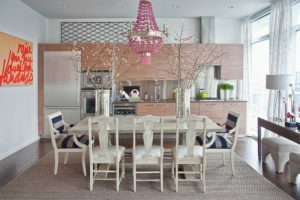 Although it will be more pricey, the glass shelves will make your kitchen more glamorous and elegant. An industrial kitchen needs some wood and iron material for the features. The custom wooden shelves and black iron brackets are applied in the corner of this kitchen. The shelves are good enough for storing dishware.